Sreenivasan Sasidharan has completed his PhD from Universiti Sains Malaysia in 2007. He is the Associate Professor in Institute for Research in Molecular Medicine of Universiti Sains Malaysia, a public University in Malaysia. He has over 160 publications with total impact factor of 175, multiple book chapters, significant grant support, and over 100 posters/abstracts at national and international meetings as well as Organizer, Keynote, Invited Speaker and chair of International & National Congresses. Has been serving as an Editorial Board Member and Reviewer of international journals. He reviewed more than 100 manuscript for international journal. His research interests include medicinal plants and their role in Health and Disease Management, Molecular Mechanisms and Biology of Free Radicals, miRNA, Anticancer, Antioxidants, Antimicrobial and also isolations and identification of phytochemicals from local natural resources for various biotechnology purposes including green synthesis of gold nanoparticle. He also graduated more than 15 post graduate student as main supervisor. Gautam Sethi has completed his Postdoctoral training at University of Texas MD Anderson Cancer Center and joined Department of Pharmacology, Yong Loo Lin School of Medicine, National University of Singapore in 2008 as an Assistant Professor and was promoted to Associate Professor in 2015. The focus of his research over the past few years has been to elucidate the mechanism(s) of activation of oncogenic transcription factors such as NF-kB/STAT3 by carcinogens and inflammatory agents and the identification of novel inhibitors of these proteins for prevention of and therapy for cancer. He has more than 150 scientific publications in high impact factor peer reviewed journals and has several international awards to his credit. He currently serves as an Academic Editor for PLOSONE, Editorial Board Member of Scientific Reports and ad-hoc Reviewer for several other international journals. He was a President , Philosophy - Analytic and Continental, Theoretical Philosophy, Pure Mathematics, Lambda Calculus, Meta-mathematics, Mathematical Logic, Mathematical and theoretical biology Theoretical Computer Science, Artificial Intelligence and AGI, Theoretical Physics, Physics, Cosmology, High Performance Computing, First Order Cybernetics, Atmospheric sciences, Planetary sciences, Space physics, Cosmology, Geochemistry, Financial Modeling, Oil & Gas Research, Operations Research, Predictive Analytics, Support Vector Machines (SVMs), Complexity Science, Kolmogorov Complexity, Mathematical Optimization, Computational Mathematics, Approximation Theory, Algorithmic Information Theory, Measure Theory, Gauge Theory , Data Science, Forensic Anthropology, Stochastic Optimization, Real Time Operating Systems, Space Physics, Astrophysics, Cosmology, Astrobiology, Geophysics, Mathematical Chemistry, Computational Chemistry, Mathematical Biostatistics, Bioinformatics, Biophysics, Astrophysics, Astronautical & Aerospace Engineering, Mathematical Geophysics, Philosophy of Logic, Mathematical Logic, Modal Logic, Epistemic Modal Logic, Deductive Probabilistic Logic, Computational Logic, Set Theory, Category Theory, Higher Topos Theory, Type Theory, Representation Theory, Order Theory, Model Theory, Recursion Theory, Metatheorems, Proof Theory, Stability Theory, Confirmation Theory, Probability, Statistics, Mathematical Statistics, Philosophy of Statistics, Philosophy of Science, Philosophy of Mind, Philosophy of Physics, Philosophy of Biology, Philosophy of War, Philosophy of Neurosciences, Neurophysiology's, Formal Epistemology. Computational Neurosciences, Genomics, Pathologist - ASCP. Hiroshi Maruta is an expert in both molecular oncology and the major oncogenic/ageing kinase “PAK1” which is essential for a wide variety of diseases/disorders such as cancer, Alzheimer’s disease (AD), diabetes (type 2), hypertension, and a variety of infectious and inflammatory diseses (1). His team found that PAK1-deficient mutant of C. elegans lives 60% longer than the wild-type, clearing indicating that PAK1 shortens the healthy lifespan (2). Via “Click Chemitsty” his team recently developed a series of potent (highly cell-permeable) 1,2,3-triazolyl esters of COOH-bearing PAK1-blockers which are potentially useful for both cancer therapy and longevity-promotion (3-5). Dale W Laird and his research team has been examining the role of connexin gap junction proteins in health and disease for over 25 years. Since being recruited from McGill University in 1997, Dr. Laird’s research program has flourished as connexin gene mutations were discovered and shown to cause many human diseases. This coincided with the generation of numerous genetically-modified mice where connexin genes were ablated or mutated to mimic human diseases. Dr. Laird’s laboratory routinely employs these mutant mice together with organotypic cultures and patient cells to investigate the link between connexin gene mutations and a diverse array of diseases and syndromes ranging from skeletal development anomalies to skin disease. Manuela Stoicescu, Consultant Internal Medicine Doctor (PhD in Internal Medicine) now is Assistant Professor of Medical Disciplines Department, University of Oradea, Faculty of Medicine and Pharmacy, Romania, Internal Medicine Hospital and Office. She is Member of Romanian Society of Internal Medicine, Member of Romanian Society of Cardiology, Chemistry, Biochemistry and Member of Balcanic Society of Medicine. Professor Mubarak received his B.Sc. and M.Sc. degrees in chemistry from the University of Jordan in 1976 and 1978, respectively and obtained his Ph.D. degree from Indiana University, Bloomington, USA in 1982, under the supervision of Professor Dennis G. Peters. He did his post doctorate work at Oklahoma University between Oct.1982-August1983. Mubarak started his teaching career at King Saud University, Abha, Saudi Arabia, as an assistant professor in 1983, and then became an associate professor in 1992. In January 1993, Mubarak returned home to joined the teaching staff at the Department of chemistry, The University of Jordan, and in 1998, he was promoted to the rank of full Professor. Dr. Mubarak held a number of administrative positions at The University of Jordan, including Chairman of the Department of Chemistry, and Vice Dean of the Faculty of Science, 2009-2011. He has also assumed the position of Academic Consultant and Vice Dean at Al-Ghad International Medical Sciences College, Riyadh, Saudi Arabia, 2011- 2012. He is also an Adjunct professor of Chemistry at Indiana University, Bloomington (USA) since 2009. In addition to electrochemistry, Professor Mubarak’s research program is broadly based on synthetic organic chemistry, especially synthesis of compounds with expected biological activity, medicinal chemistry, medicinal plants and natural products, and drug design and discovery. He is the author and coauthor of more than 180 research papers published in peer-reviewed journals in addition to chapters published in specialized books. He has also supervised 39 theses and dissertations. Her research interests are in extraction of fine chemicals from local plants and synthesis of glyco-modified therapeutic compounds against influenza. In 2011, she was a visiting research fellow at the Institute for Glycomics, Gold Coast Australia—working in the labs of Professor Mark von Itzstein. 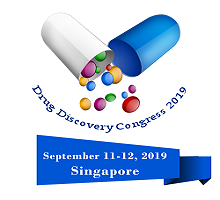 A former Editor-in-Chief of Malaysian Journal of Pharmaceutical Sciences, Dr Aisyah also serves as reviewers to several international medicinal and synthetic chemistry journals. 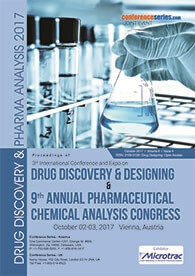 I concern with discovery of new drugs I have innovation in many new drugs and drug delivery system. I have memberships of many scientific society and editor of PSC journal. I published more than twenty scientific researches in many sides of pharmacy, I have discover new treatment of cancer of colon and skin I possess innovative certificates in drugs delivery system and new drugs which published in scientific journal. T.Theivasanthi of Kalasalingam University doing research in nanomaterials / nanotechnology; has 14 years of teaching experience; published many research articles/ books and h-index 9; life member of Indian Science Congress Association and Magnetics Society of India; member of International Association of Advanced Materials; serving as Editorial Board Member/ reviewer for some scientific journals; lead editor in JNNN special issue (SAGE Publications, UK); achieved many awards/ honours/ recognitions including - Madurai Women Achievers Award - 2013, Motivational Award - 2015 and 2015 Women’s Day Award of St.Annes College; achieved World Record in LIMCA Book of Records-2015 for nanotechnology invention “World’s first superparamagnetic plants materials” – named “Santhi Particles”, World Record– 2016 for innovative products "The World’s lowest priced graphene" & "World’s Smallest Particles of Vegetables" and World Record– 2017 for the invention "The World’s Smallest Anti-Viral Plant Particles". Dr. Amgad M. Rabie, Professor & Researcher of Pharmaceutical Organic (Medicinal) Chemistry & Drug Design/Discovery, Department of Pharmaceutical Organic Chemistry, Faculty of Pharmacy, Mansoura University, Mansoura, Egypt. He is the editor-in-chief & the chairman of the peer-reviewing committee of the famous & reputable journal in pharmaceutical sciences & researches worldwide, International Journal of Pharma Sciences and Scientific Research (IJPSR), USA, Canada, Europe, Asia, Egypt, Australia, and Brazil.His major role is to help the American Chemical Society (ACS; which is the most famous & best ranked international chemistry organization) to improve people’s lives through the transforming power of chemistry. He is also a editorial board director & chairman of the multidisciplinary and internationally famous & comprehensive journal in all pharmaceutical & medicinal sciences worldwide, Journal of Pharmaceutical and Medicinal Research (JPMR) (ISSN: 2455-0280).